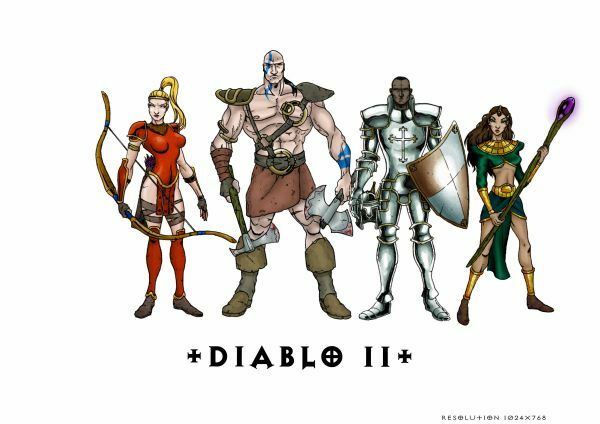 We’ve got four new additions to the Diablo 3 wallpaper gallery this week, and they’re all new (more or less) original work by a couple of creative fans. First up are three wallpapered pieces of fan art by jfbrittes. 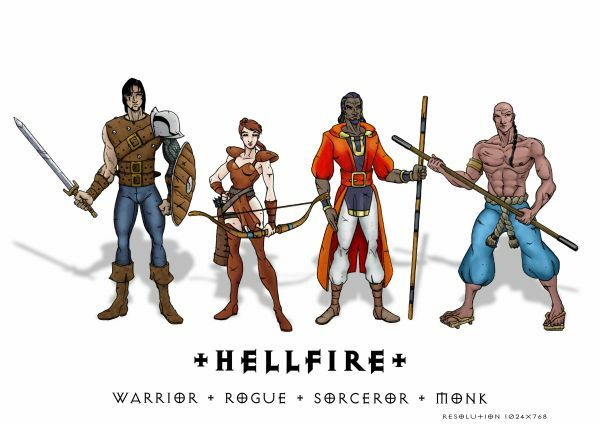 They’re all thumbed below, and they’re all very cool character collages; they show all the characters from Diablo and Hellfire (including the Monk, much to Bashiok’s chagrin), and from Diablo 2… with one noticeable exception. In his captions the artist says these pieces were drawn a decade or more ago, and that they’re not very good. I’ve got to disagree with the second part of that statement. Elsewhere, our resident 3D wiz Delowyn has contributed a great Christmas-themed work, with a not-very-difficult choice between a naughty Santa and nice magical elf. Click the image below to see this one full size/detail; it’s worth a look even if you don’t want it for a new wallpaper. 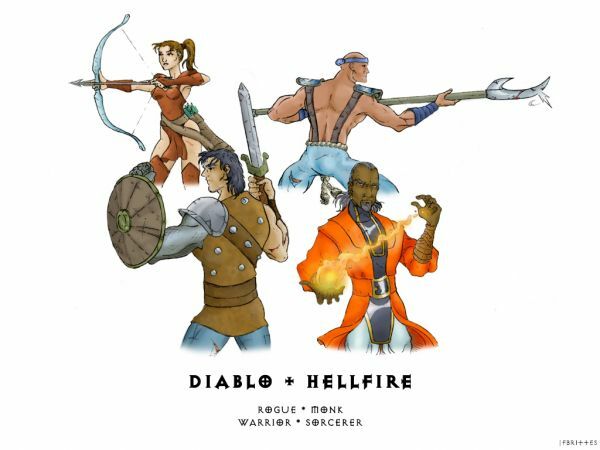 Do You Know Diablo’s Supporting Characters?